Today’s post features the management of Leith Depot – an Edinburgh bar, restaurant and music venue – and is a stark illustration that progress for live music is seldom linear. The Leith Theatre, for instance, is moving towards becoming a permanent fixture of the city’s musical landscape again, under the auspices of the Leith Theatre Trust. Opened in 1932, and closed from 1988, it is now starting to host shows again, and seeking funds for refurbishment. Likewise, the Agent of Change principle – which could protect existing venues against noise complaints from incomers – is moving centre-stage on the policy agenda, following a long period of recommendations and campaigning. All this, though, may be of scant help to the Leith Depot. Since it opened in 2014, as a bar and restaurant with a small venue above, it has provided a valuable live music space in the area on a site that was previously something of a trouble spot. As we have long argued at the Live Music Exchange, one way of conceptualizing live music provision in an area is via an ecological model – the need for venues of different types and sizes, and a sympathetic legislative and regulatory culture. Leith Depot, though, is earmarked for closure when its current lease ends by the owners of the land – the Drummond Property Group – to make way for a block containing student housing and a hotel. Drummond maintain that the Depot and its neighbouring businesses will have the opportunity to return to the site when construction of the replacement site is complete, but this fails to answer the question of how they are supposed to sustain themselves in the intervening period, given the already tight margins involved in running a venue and the inevitable loss of momentum. 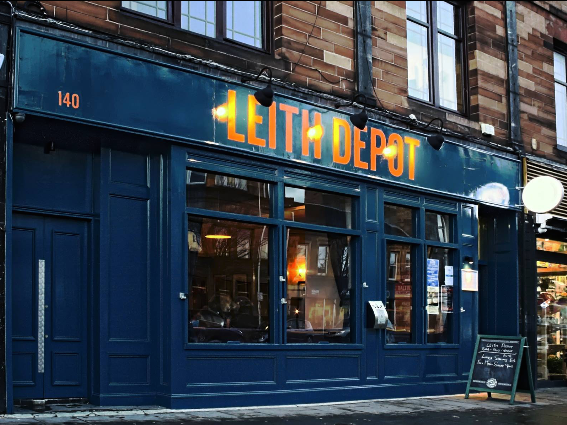 Leith Depot came about from a small rehearsal room that Paddy rented above the bar as he thought what could be possible, with the pub, which had formerly been the Meridian. And then the three of us, over a couple of pints, decided to take it on. We spent the best part of a year organising how and what we wanted to do before we got the keys. But we were still building the tiny stage in the venue the same day that we opened it. That weekend The Dark Jokes and Black Cat Bone opened up our wee space. It was tentative, electric, and very exciting and none of us had any experience of hosting gigs. The priorities were to have good house gear and back line and to try and make sure bands and acts were looked after. We also wanted to host more original, grassroots, and quality acts. We were paranoid about getting a noise complaint, so we tested it with a lot of acts in the beginning. Then it just became easier for us to take a chance and book acts that contacted us. We learned as we went and have tweaked our gig room here and there over the short time we’ve been open. We’ve been able to try out other stuff like showcasing acts, plays, film screenings, hosting U18s matinee gigs and trying out some comedy. For a small space it’s very adaptable. Then there are all the festivals that we try to take part in: Independent Venue Week, LeithLate, Leith Festival, Leith Jazz and Blues, and the Fringe. We’ve also been very lucky to work with our neighbour next door, the Leith Recording Company. Between us we’ve been able to make the venue work as a live room, which is a great addition to the area. We seem to be constantly busy and attached to our phones and the diary. It’s fast paced and unrelenting but we love being able to be part of it. And now we find ourselves threatened with demolition, to be replaced with what is, locally, a very controversial development. It’s obviously a massive blow and has a huge impact on us, as we look set to have to close our doors next year, for good. Leith Depot has always been a labour of love and so in the meantime, we have to continue to do what we do until we can’t anymore. The context of potentially losing yet another small capacity venue in Edinburgh does little for the city’s reputation by way of encouraging, supporting and protecting the live music scene in the city. It would appear that live music venues in Edinburgh are not a priority, for anyone, to protect and sadly we’ve already lost a lot of venues in such a short period of time. The recent and welcome developments regarding the Agent of Change principle will go some way towards protecting against noise complaints alongside neighbouring developments. However, it does not stop or help mitigate the effect of complete demolition of existing live venues. There are currently no legal grounds or help available to help protect “cultural assets” and Edinburgh is set to continue its tentative reputation for not supporting the live music scene. At the moment the outdated government policies do not help at all, and lean towards re-development of existing spaces like Leith Depot. Leith Depot has hosted a lot of acts over the short two and half years we’ve been open. We started off with 3-4 acts a week and now it’s not unusual to have a full weekly line up of events. We can have as few as 2-3 days a month when our space in not in use. So contrary to some public opinion that people don’t support live music venues, we continue to get busier and busier. Our clientele can be varied, by way of being transient for some gigs in specific genres like grindcore, thrash metal and also consistent in terms of routinely visiting to enjoy and support live music gigs. Artists come from all over the world to play in Edinburgh, not just for August but all year round: UK & Ireland, America, India, Australia and a whole host of European countries. 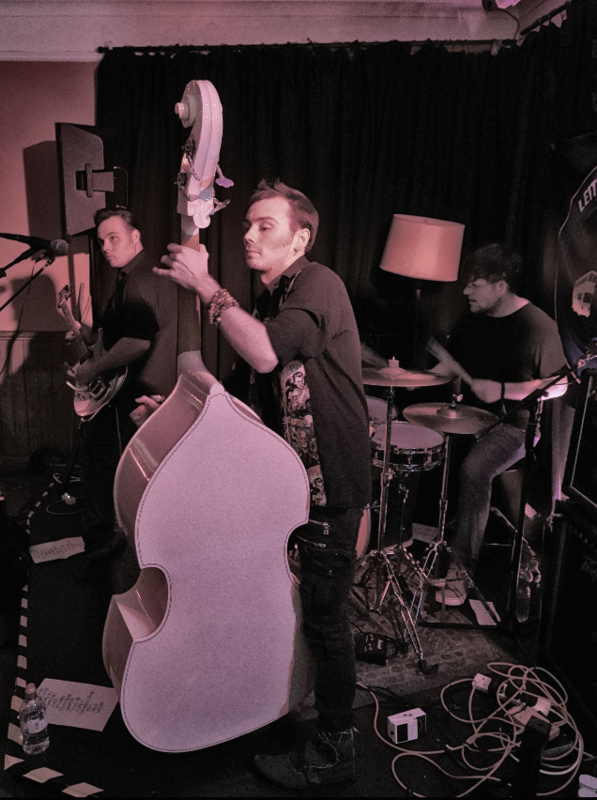 In our experience there’s also a huge amount of national and local grass roots bands that need exposure by playing live and reaching an audience locally. A network of musicians has already developed, just through our small capacity venue, by way of encouraging local acts to play with touring acts and vice versa. Finally, the next generation of young musicians are desperately in need of experiencing playing live and if we don’t have venues that are available to support that then it will take longer to build confidence and skill. Edinburgh has to do something to support home grown acts and without small grass roots venues it will take considerably longer. You must be <a href="https://openmicartists.com/wp-login.php?redirect_to=https%3A%2F%2Fopenmicartists.com%2Fwhat-its-like-to-open-a-venue-the-experience-and-the-context-julie-carty-leith-depot%2F">logged in</a> to post a comment.